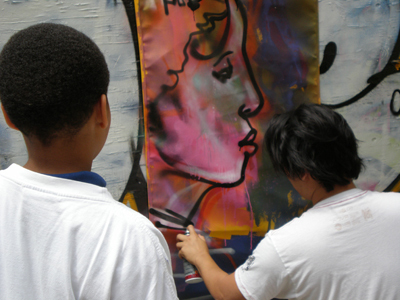 As a part of David Choe‘s visit to the Twin Cities he worked with a group of high school students from Juxtaposition Arts and the Walker Art Center Teen Arts Council (WACTAC). 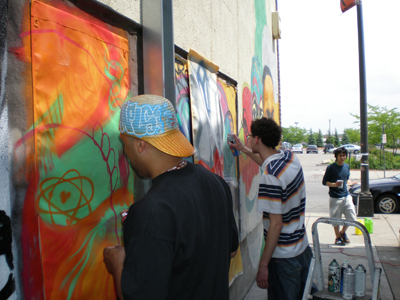 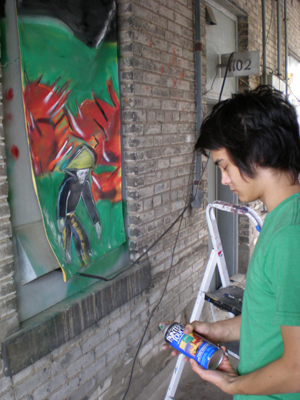 Over the last 10 years Juxta has been teaching Northside youth about the arts and recently the organization has been working on a project called Street Life, a partnership with the City of Minneapolis intended to redesign the visual landscape of West Broadway. 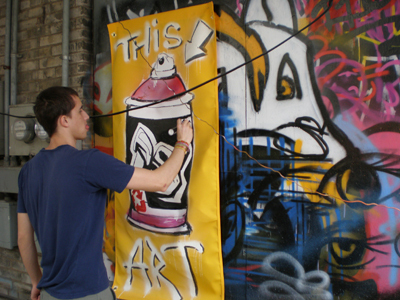 Students involved in last Saturday’s workshop painted banners that will be placed on light poles around North Minneapolis.